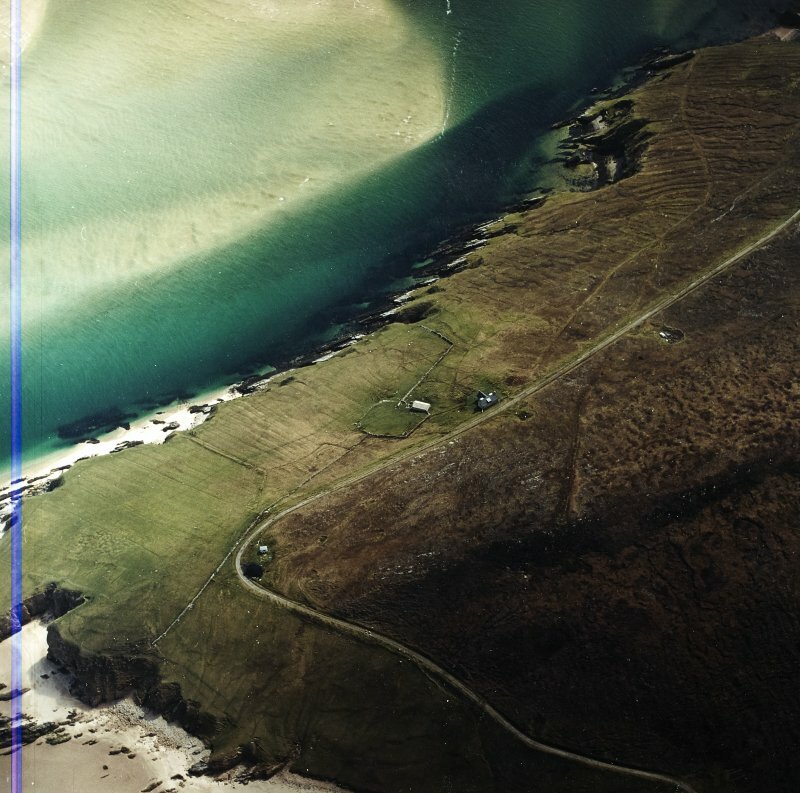 Oblique aerial view centred on the farmsteading with the remains of field banks and rig adjacent, taken from the WSW. Oblique aerial view centred on the farmsteadings and remains of the field banks and rig, taken from the W.
Oblique aerial view centred on the farmsteading and remains of the field banks and rig, taken from the NW. 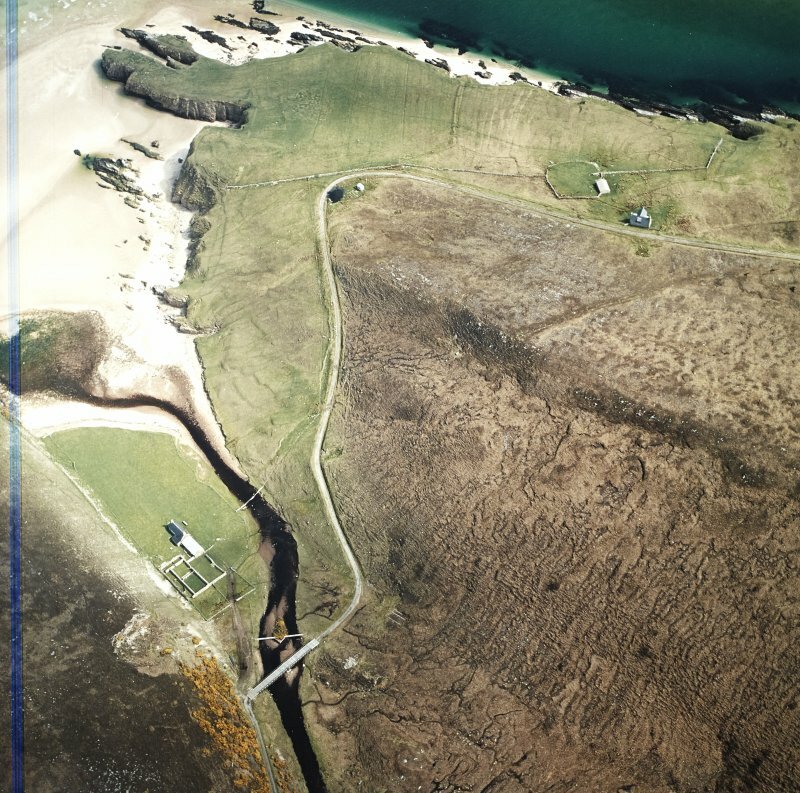 Oblique aerial view centred on the farmsteadings and remains of the field banks and rig, taken from the SSW. 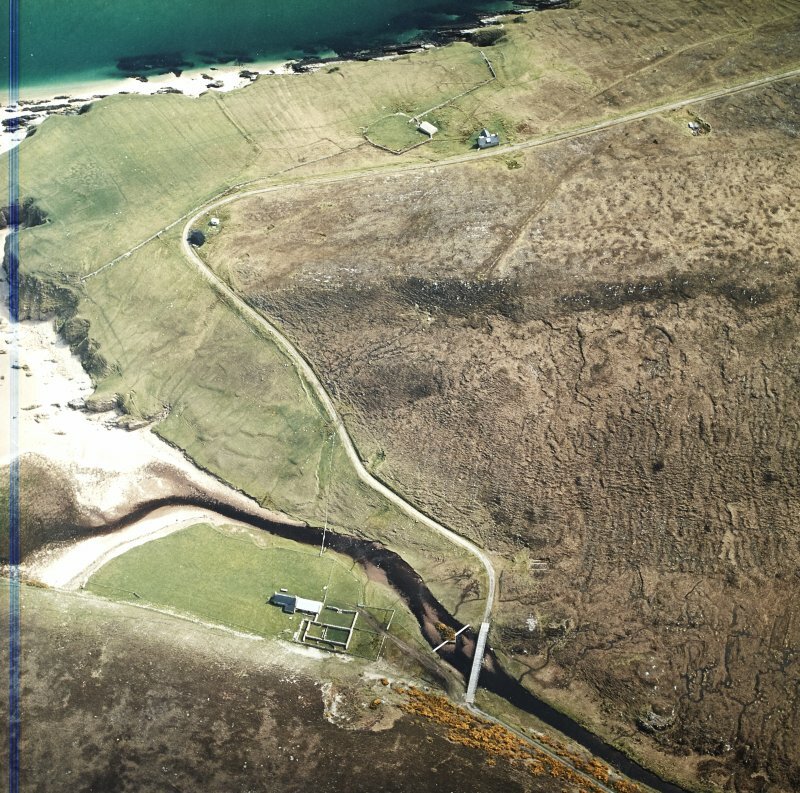 Oblique aerial view centred on the farmsteading and remains of the field banks and rig, taken from the WSW. 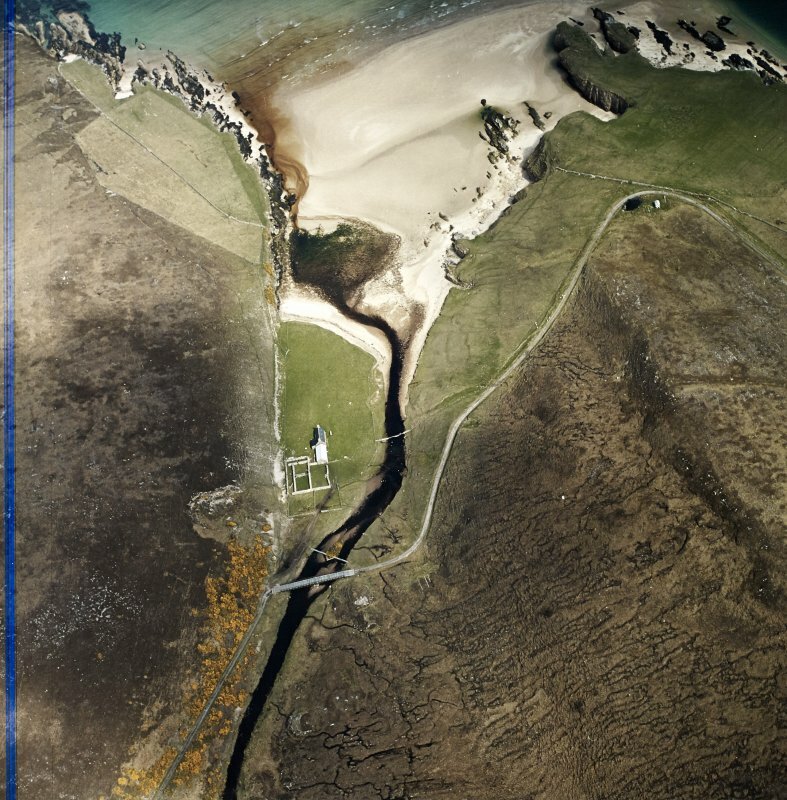 Oblique aerial view centred on the farmsteadings and remains of the field banks and rig, taken from the WNW. 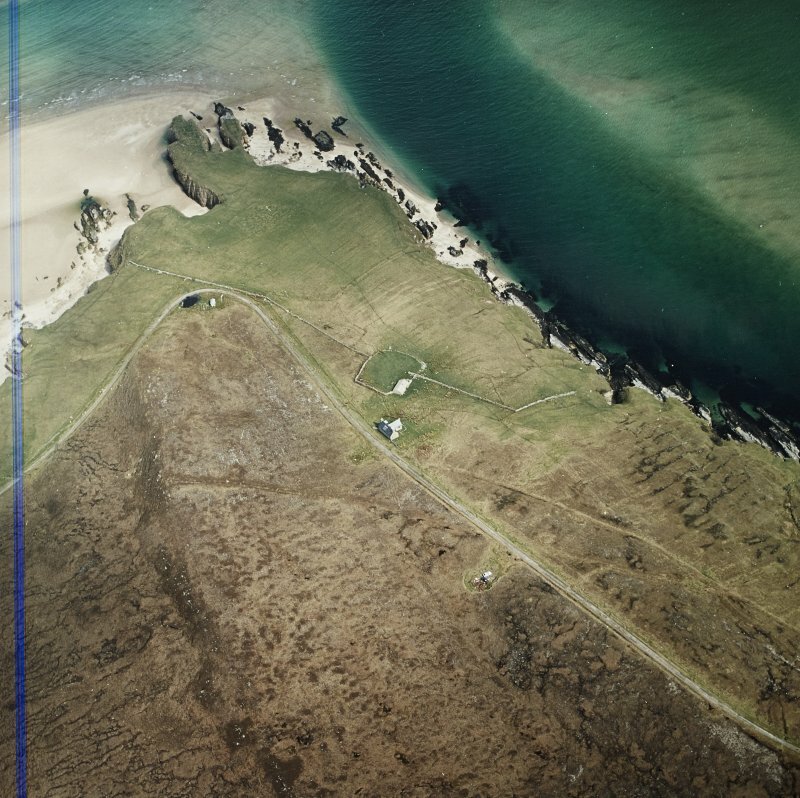 This farmsteading, comprising two buildings and a rectilinear enclosure, has been recorded on oblique aerial photography (RCAHMSAP 2004) lying within the remains of a system of field banks and rig on the W shore of the Kyle of Durness. The farmstead is depicted on the 1st edition of the OS 6-inch map (Sutherland 1878, Sheet V) as three roofed buildings and a rectilinear enclosure. 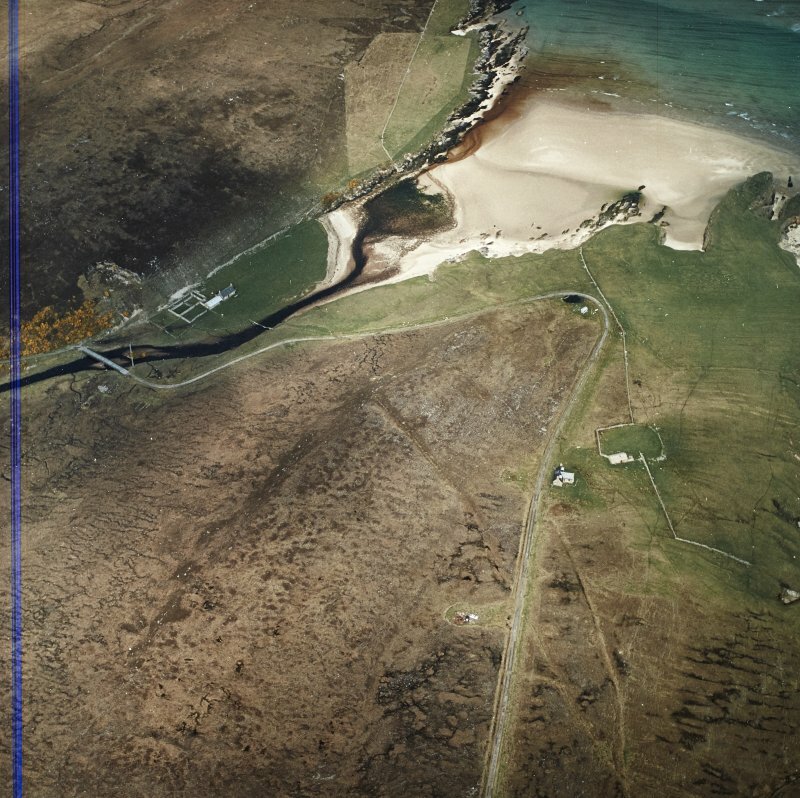 The rig and field banks lie between the shore and the line of the modern road.